Microsoft openly puts a keylogger in its Windows 10 operating system to give users a personalized experience. 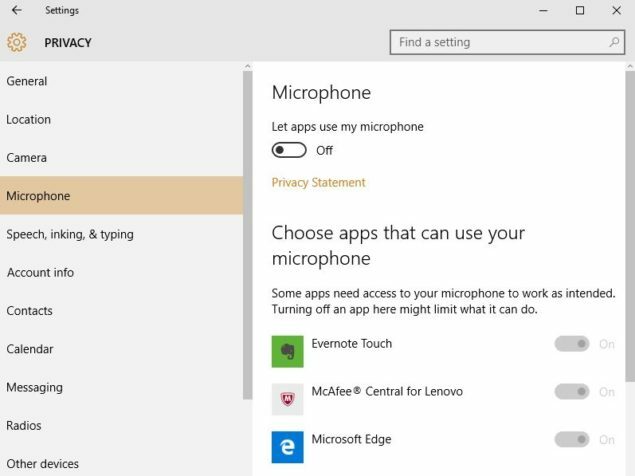 Windows 10’s FAQs mention, “When you interact with your Windows device by speaking, writing (handwriting), or typing, Microsoft collects speech, inking, and typing information—including information about your Calendar and People (also known as contacts).” As long debated by our readers, this is not something that other tech companies haven’t engaged in previously. 1. Go to Start Menu > click on the Settings menu. 3. Now under the General section, tweak different privacy settings. 4. For instance, you can toggle the following setting off: Send Microsoft info about how I write to help us improve typing and writing in the future. 5. 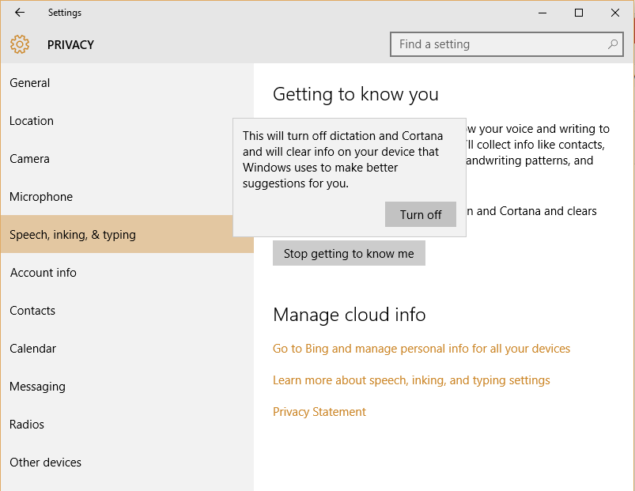 Also, click go to Speech, inking and typing section to switch off the Stop getting to know me feature. 6. 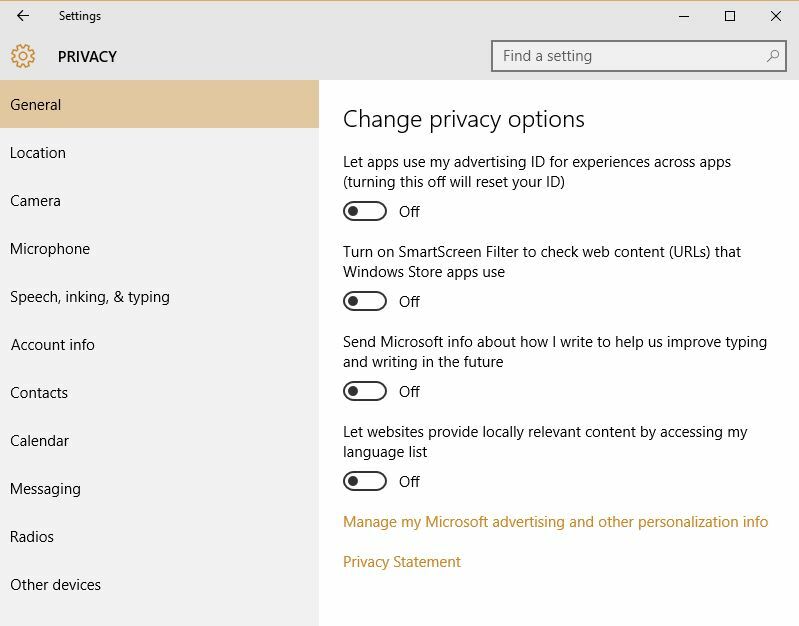 Apart from these, you can also turn off different other privacy invading features here. Go to Microphone or Camera to turn these off for the device or for specific apps. You can also explore several more settings in the Privacy section that you may want to check out to see what else you want to switch off. 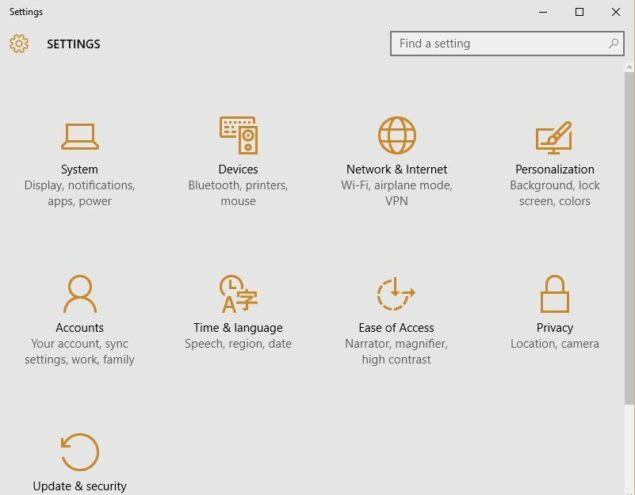 Remember, we have seen reports that claim that even after switching these settings off, Microsoft doesn’t stop sending your personal data to its own servers. But, there’s no harm in turning these settings off to be sure that you aren’t explicitly allowing Microsoft to engage in data collection.